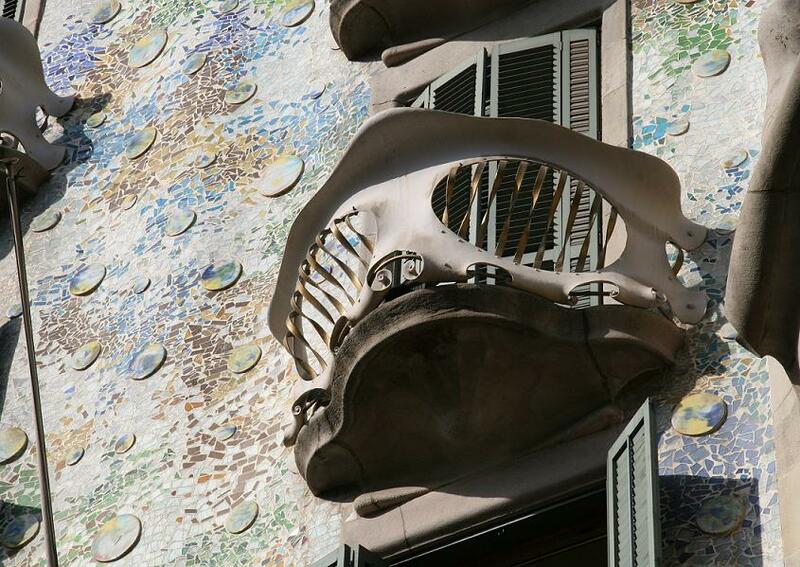 It is not surprising that when it was being built, people started to call it "Casa dels ossos" (House of Bones) : the entire facade of the Casa Batlló looks as if it is covered with bones, skulls, shoulder blades or hip bones, in the form of bone coloured balconies, as well as real visions of shinbones and fibulas on the lower part. A little round turret on the top, crowned with a four-armed cross, looks like a huge sword thrust into a roof similar to a dragon's back. 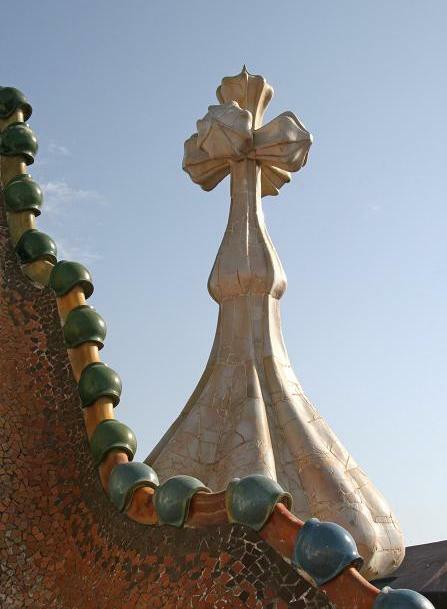 Obviously, the tradition of Sant Jordi (Saint George, who killed the dragon), very popular in Catalonia, inspired Gaudí here, as it did in several occasions elsewhere also. 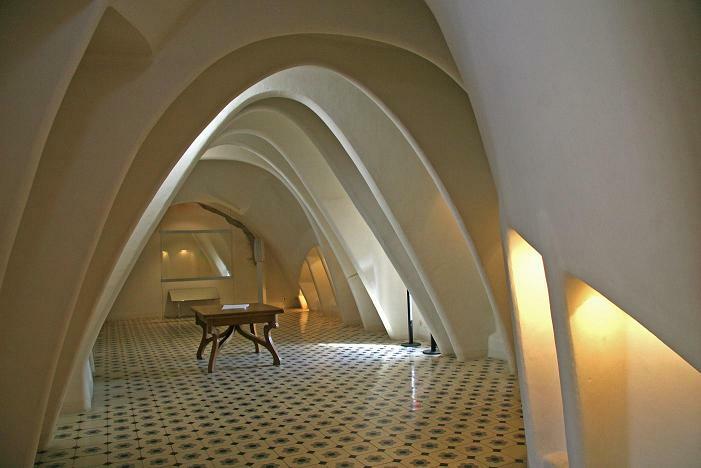 Yet you can see many things rather than a killed dragon and the bones of his victims in the outside of the Casa Batlló. You can see a representation of Venice carnival, with masks, confetti and arrays of colours. Or some kind of a vertical lake, with water reflections, water plants and underwater caves. 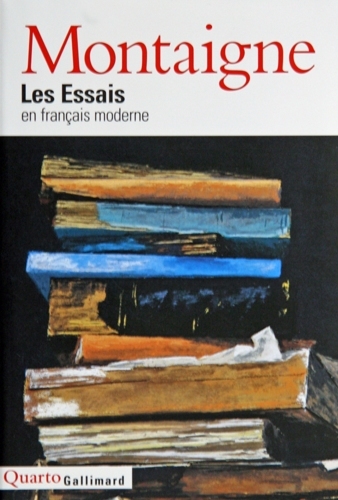 And finally, all and none of these, but abstract shapes and forms designed for their own sake and in a coherent interaction. 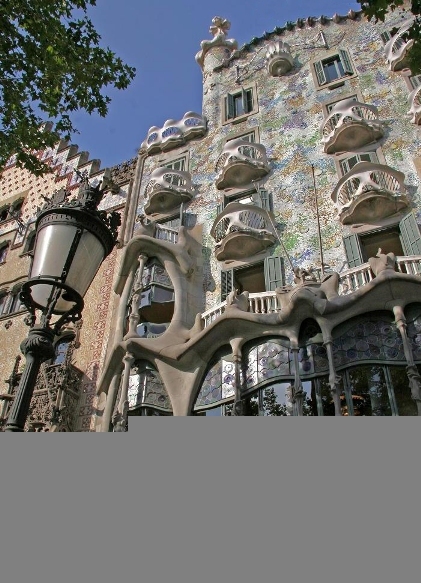 In any case, the facade has nothing to do with the natural properties of stone with which the house has been built, and this is typical feature of buildings by Gaudí. His life's work, the Church of the Sagrada Familia — not finished yet, more than 120 years after the building started — is also an explosion of life where plants, animals, human beings and saints palpitate through the stone. 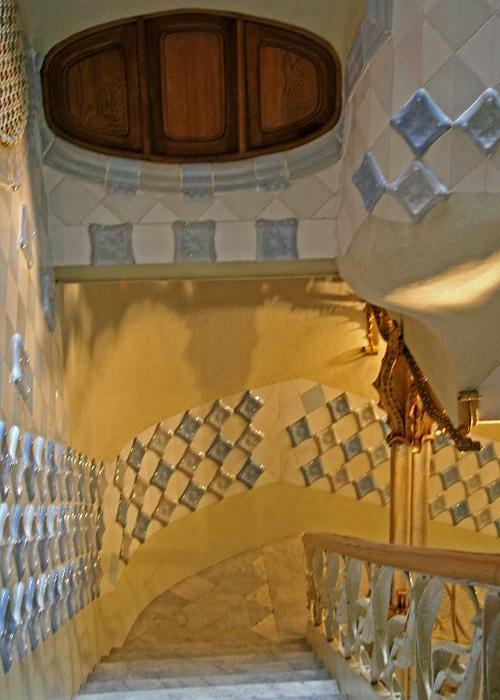 La Casa Batlló was called after the name of its owner, who commissioned Gaudí to tear down the old apartment building and reconstruct a new one. 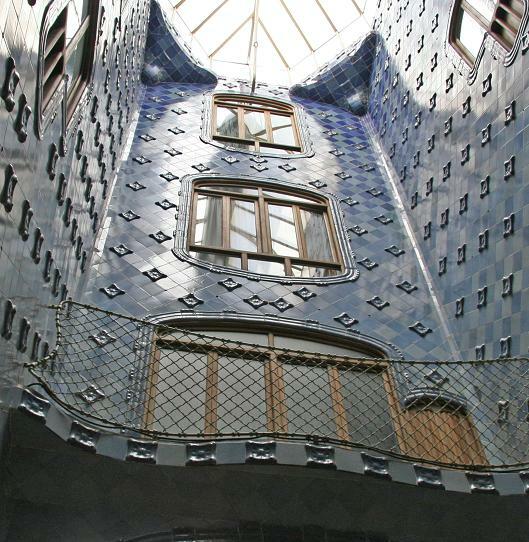 Not only Gaudí conceived the building as an architect, but as a project manager and a foreman. He gave directly orders to the workmen on the scaffolding, telling them exactly where to put each coloured piece. When I arrived there last Sunday, it was 9:00 am exactly. They were just opening the gates. The night before had been sleepless for many Barcelonians, because of San Juan celebrations. There was still little people in the streets and no tourist had reached the place yet. I was alone. 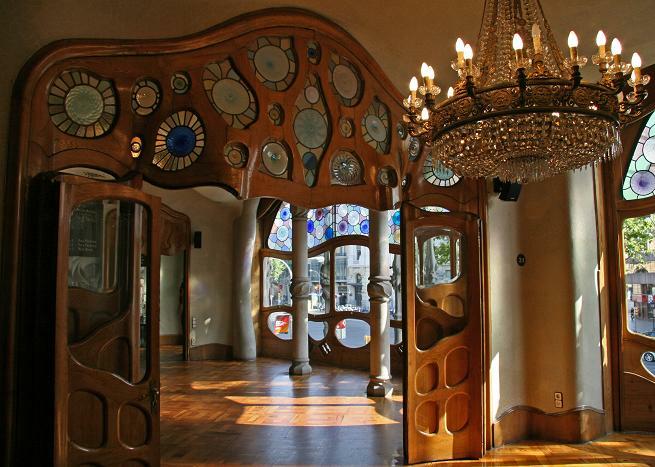 For about 10 minutes, the Casa Batlló was mine. 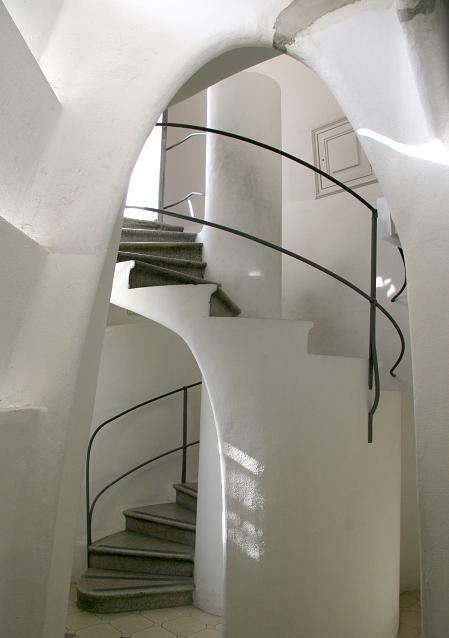 This house is more than a building, it is a myth of art.The windows provide natural light everywhere inside, even to the most interior rooms and stairs, and every nook, every detail contains a surprise. Here come a couple of pictures I took in there. You'll find much more, and better ones, on its dedicated website.